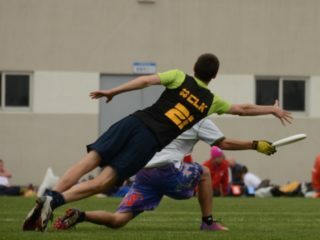 November of 2017 marked the largest Pan American Ultimate Club Championship (PAUCC) ever. Held in a vast field complex on the outskirts of Buenos Aires, Argentina, PAUCC counted seven hundred and fifty players representing eleven countries in attendance. In addition to hosting six days of ultimate Frisbee featuring stand out teams from North, Central, and South America, the PAUCC organizers facilitated a town hall-style discussion on gender and equity in ultimate. Nearly 50 people attended the gender and equity forum with players from eight different nations, half women and half men. The meeting was chaired by Actitud Pizza, Argentina’s first competitive women’s team, including WFDF representative Florenzia Aldetz. Before long, many heads nodded together, many brows furrowed in agreement. Everyone in attendance seemed to share a common concern that there is an imbalance of power and opportunity between genders in the ultimate community. Players from different regions spoke up. There are too few women playing competitively to close the gender gap. There are too few female leaders to achieve gender equity. Women give up sports or never join, to begin with, making it difficult to find enough female players to warrant a women’s team (not to mention league, or tournament). 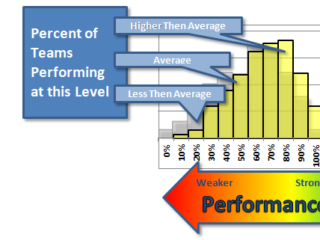 Men become tournament organizers; as a natural extension men receive more leadership opportunities. Some voices argue that cultural history is what positions men as leaders and women as non-competitive, that women need to be provided more opportunities for leadership on and off the field, that women need affirmative action to cultivate female leadership. The problem of “not enough women” is age-old. From players to captains and coaches, fewer women chose to lead. A captain from Anchor, a Canadian Mixed team, offered an example of how they have stretched their leadership team to fill in the gap. Lauren Haley shared how she has “only playing elite ultimate for two years and did not think of herself as captain material”. Yet, she was asked to become a captain because the team noticed her leadership potential. While Lauren may not initially have felt “ready enough” to be a team captain, Anchor chose to promote her and supports her growth on as a leader. For Condor’s Eric Tolson, hearing Lauren’s story affirms the work that his team has been doing in Mexico City. The Condors have formed a family of teams, running mixed, open, and women’s teams all under the Condor flag, unlike the national teams Malafama and Fenix which are single gender only. In Mexico, the mixed club season runs at a different time than the single-gender season so that players can participate on two teams. This means a smaller number of women can feed both single gender and mixed teams. Tolson shared having enough female leaders has been a problem for the Condors. Last season they competed without a female captain on their mixed team, and that left a leadership deficit for the Condor’s women’s team. Tolson says, “The Condors greatest weakness is not developing female leadership enough.” As spirit captain, he and his female co-captain have plans to include gender equity as one of the branches of Spirit of the Game. It’s good to know that WFDF has recently established a Women in Sports Commission to further examine gender equity in ultimate. One of the hosts of the gender and equity talk, Florenzia Aldatz, is on the participation subcommittee. Recently, the committee came up with a target of publishing at least one article per month highlighting female athletes. There are so many great women to profile, that should be an easy job! The Condor mixed women. Left to right: Xime, Ju, Erika, Ketza. Ketza is a spirit captain for the Condors squad. She and co-captain Eric Tolson have altered the spirit ranking system at Mexico Ultimate tournaments to include gender equity as a sub-category. Photo submitted by Condor Ultimate. The first gender and equity meeting at PAUCC closed with an impassioned speech from a young Brazilian woman who beseeched the crowd, “We need this. We need these opportunities. Please, let us have this chance.” Yes and, in my opinion, power is not something that can be given to the female half of the population. No one will hand out the golden ticket. It’s up to women themselves to be the leaders they would like to see in the world. Throughout the western hemisphere, there are far more male than female captains, coaches, and tournament organizers. The Condors and Anchor align with the gender equity movement by seeking to increase the participation of women in leadership positions. The story that there aren’t enough women interested in leadership is a narrative that does not serve us well. It’s time to get creative. This is ultimate frisbee, after all, the original open division was founded on principals of inclusion. If the PAUCC gender equity meeting is any indication, there are plenty of people interested in a more equitable game. All it takes are people to be the change they want to see in the world.